The Oculus Rift S was announced at the Games Developers Conference in San Francisco on Wednesday 20th March 2019. It was a surprising announcement for the virtual reality community to hear as most were expecting details of the anticipated new Oculus Quest standalone VR headset instead. 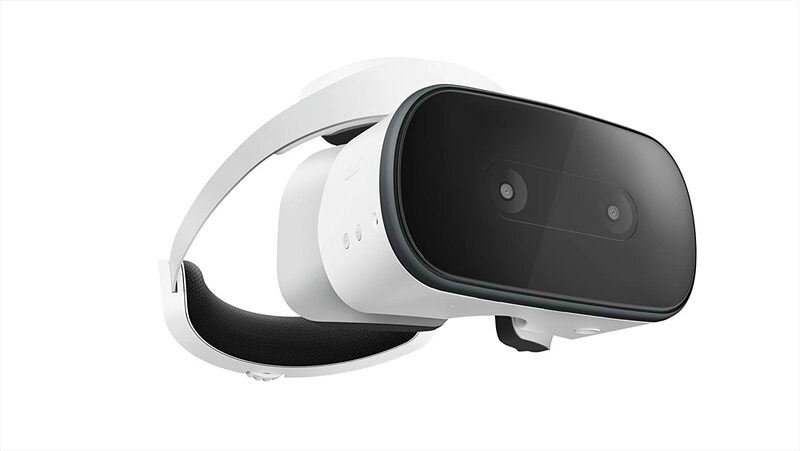 The hype had been building for wanting to know the details of this new Quest headset as well as the release date which wasn’t helped by Oculus creating the hashtag #QuestCountown. So for many, this announcement was an instant disappointment. In hindsight that marketing strategy was a poor decision because I don’t think that most of us gave the Oculus Rift S a fair chance to blow us away as a result of the Quest hype that surrounded us. Whilst on the subject of a poor marketing strategy, Oculus decided not to host a livestream of the announcement for a more global audience. The previous day at GDC gamers were blown away by Google’s Stadia announcement that was livestreamed for all to enjoy. (For those unsure: Stadia is a platform for game streaming using Google’s infrastructure meaning you can stream from browsers or even join live games by clicking a link to join via YouTube streams). However, VR YouTuber Nathie came to the rescue and decided to host a gathering of hyped up fans who were fit to burst for more Quest news. Nathie hosted a live chat, social media scavenge and revealed the latest news from the Oculus Blog via his YouTube channel. It was actually amazing being together at a virtual gathering and having the ability to chat with one another pre, during and post announcement. My insight of mixed reactions absolutely came from this experience. Brands who care about product launches and seek genuine ‘in the moment’ feedback would be wise to consider this communication style for themselves in the future. Anyway, Nathie deserves a pat on the back for picking up the mantle and for doing a pretty impressive job of it! First of all, the immediate headline here is that the Oculus Rift S is brought to us through an Oculus and Lenovo partnership. I for one am extremely impressed by this collaboration! For those of you who don’t know, I am a Lenovo ‘Super Champion’ meaning that I am an ambassador for their products. I have the upmost respect for Lenovo in the immersive product space as they are the only company in the world to have brought a mixture of hardware products to us across the spectrum of Augmented Reality (Jedi Challenges), Virtual Reality (Mirage Solo and now the Oculus Rift S) and Mixed Reality (Lenovo Explorer) not to mention their high end gaming Lenovo Legion products. I am also a fan of Oculus and part of their Oculus Start programme for the work I am doing in the VR for dementia space with Pivotal Reality. The Oculus and Lenovo partnership in itself is immensely respectable as I think it sends a strong message to others that we must all work together in order to help bring VR to the masses. Will the Oculus Rift S help VR go mainstream? 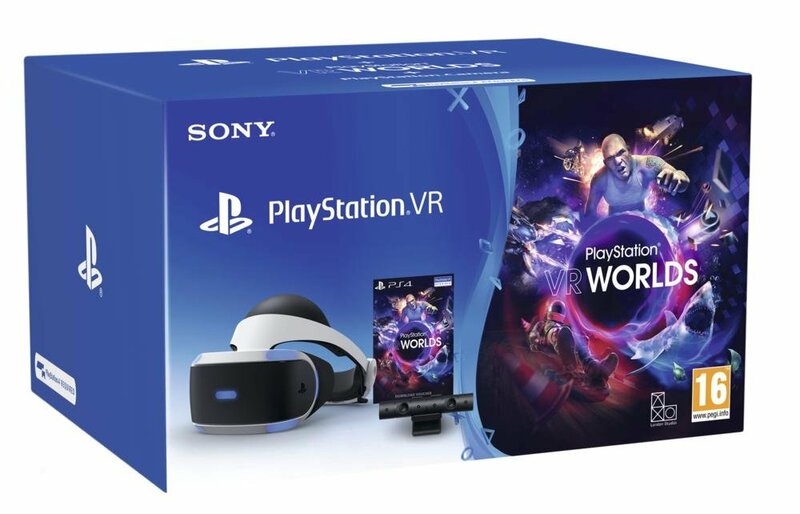 Don’t get me wrong I completely understand some of the feelings around this headset not giving us more experienced VR users the mind blowing wow factor that we were expecting. BUT, let’s not forget there’s more to come from Oculus on that front! So in the meantime let’s look at the Oculus Rift S for what it is. It’s an evolutionary version of the Oculus Rift CV1 that was released just under 3 years ago. It is a single tethered headset (meaning you have to connect it to a compatible computer) that has improvements for a more enjoyable gaming experience. The improved optics, lenses and pixel density sound more pleasing to the eyes and the field of view has been said to be marginally larger than the tradition Rift experience. Initial reactions from the VR community is divided in those last areas but everyone who has tried it out haven’t complained about the realism of the graphics or said that it is a bad immersive experience so I am optimistic about them. The built in sensors coupled with the Passthrough+ technology is exciting because this takes away the hassle of setting up external sensors or risk of bumping into something in the real world environment. In other words, it removes a barrier for accessibility allowing first time users to have confidence with an easier plug and play approach to VR whilst still enabling a safe roomscale experience. Which I think it awesome! 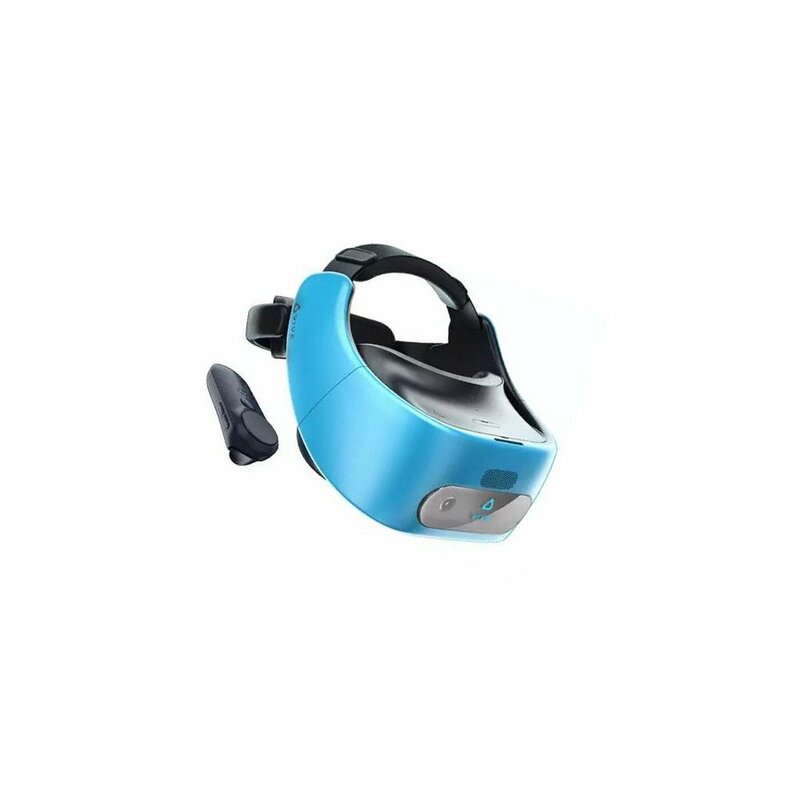 To think that many of us had our first VR experiences on the DK1, Google cardboard or a Samsung Gear then this headset absolutely betters those experiences for first timers. Another good thing in my book. The new ‘Ergonomic halo headband’ with adjustable fit wheel for greater comfort is a smart choice of design. I suspect that with the popularity of games such as Beatsaber where gamers are likely to spend a longer duration wearing headsets than ever before has been taken into consideration here. HMD (Head Mounted Displays) in general have to become versatile to suit a wide range of user needs. We need headsets that we can trust, are not heavy, will not slip, will not cause discomfort and can handle sharp/sudden movements. I have yet to see or hear any feedback on this subject so I am led to believe that the Oculus Rift S must feel natural and live up to expectations here. The weight balance has also been focused on by the Lenovo design team so I am assuming this was another contributing factor for this product design partnership. The adjustable fit wheel is something that we currently use on the Lenovo Mirage Solo for example, as well as the PSVR headset of course. 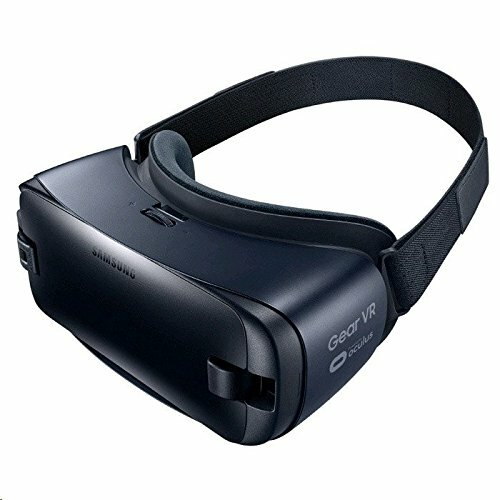 Light blocking improvements have been made to the Rift S too. Another positive for accessibility is the cross platform compatibility for the Oculus Store. Meaning that owners of the original Oculus Rift can still enjoy their purchased VR experiences using the new Oculus Rift S and vice versa. As a side note and speaking of cross platforms, it is an interesting fact that Lenovo have now worked with Google and their Daydream platform and now Oculus and their Oculus Store platform too. The Rift S has 5 cameras to provide the insight tracking and many are reporting that the new touch controllers work great with this feature. Ultimately your hands are tracked throughout your experience even when positioned behind you meaning that even if simulating a bow and arrow gesture it would be picked up in-game. Very cool! The cameras on the front of the headset looks distinctly like a Lenovo design and resonates that of the Mirage Solo’s design too. 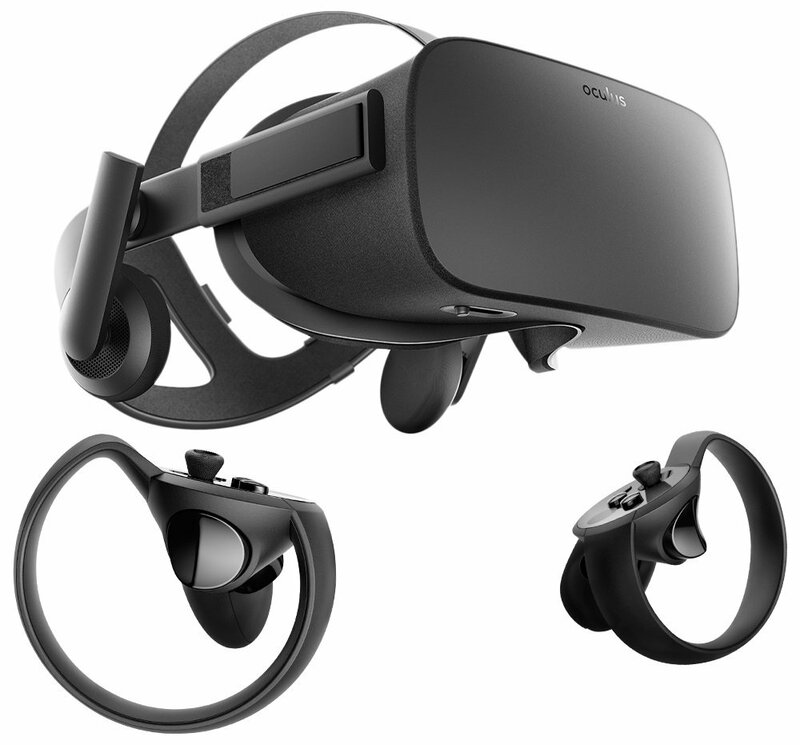 If interested, the Oculus Rift S will be released in Spring 2019 and will cost $399 for the headset including the controllers. The only thing left to do now is to excitedly wait for further details of the Oculus Quest and see how it compares to its tethered brother! A run through of all this week’s Virtual Reality (and Mixed Reality) hardware highlights from my Social Media feeds. Let me know if you find this section of my blog useful. Don’t forget to have a scan through the other blogs posted this week including VR applications, VR Strategy, VR Dev and Functionality and we have a dedicated post relating to all of the Magic Leap news from last week too. We thought we’d bunch all this weeks Magic Leap articles together as they’re we so many updates relating to them this week! The excitement and curiosity is building across the globe! Any wonder! Take a look below to see the amazing news & articles concerning them this week. Magic Leap’s staggering VR goggle technology just got even better! Don’t forget to have a scan through the other blogs posted this week including VR applications, VR Strategy, VR Hardware and VR Dev & Features news from last week too. A run through of all this week’s Virtual Reality Strategy highlights from my Social Media feeds. Let me know if you find this section of my blog useful. The world record for the most people ever in a social VR experience simultaneously? Don’t forget to have a scan through the other blogs posted this week including VR applications, VR Dev & Functionality, VR Hardware and we have a dedicated post relating to all of the Magic Leap news from last week too. A run through of all this week’s Virtual and Augmented Reality Applications highlights from my Social Media feeds. Let me know if you find this section of my blog useful. Don’t forget to have a scan through the other blogs posted this week including VR dev & functionality, VR Strategy, VR Hardware and we have a dedicated post relating to all of the Magic Leap news from last week too. A run through of all this week’s Virtual Reality (Dev and Functionality) highlights from my Social Media feeds. Let me know if you find this section of my blog useful. Feel free to contact me if you want to feature any Virtual Reality Developer or Functionality stories in a future blog edition. Don’t forget to have a scan through the other blogs posted this week including VR applications, VR Strategy, VR Hardware and we have a dedicated post relating to all of the Magic Leap news from last week too.